Do you dream of being a homeowner one day? Although you may not be ready to buy now, there are four things you can do to prepare for when you are. From building your credit to saving for a down payment, you'll be prepared to spring when you’re ready to search for the right home. Although the average buyer's home search takes 12 weeks, may buyers begin preparing for the process well in advance, especially first-time buyers.1 They prepare by saving for a down payment, paying down or paying off debt, and exploring potential neighborhoods to live in. If you know you want to buy a home someday, here are the steps to take now so you're prepared when you decide to buy. 1. BUILD A SOLID CREDIT HISTORY. For most people, a home loan is the single largest debt they'll undertake. Lenders want to know you'll pay beack the money they lend you. What should you do? Maintain existing lines of credit. Look through you credit history once a year to make sure all of the information is correct. These practices will lead to a higher credit score and a cleaner credit history; which will help you qualify for lower interest rates and allow you to make lower monthly payments. 2. SAVE FOR A DOWN PAYMENT. 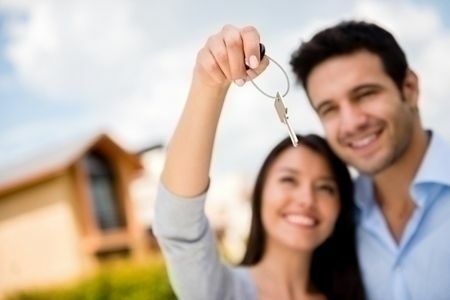 A down payment helps you reduce the amount of money you'll have to borrow to purchase a home. The more money you put down, the less you'll have to borrow; however, for many buyers, making an all-cash offer on a home is difficult. While 20% has become the ideal down payment, you may put down as little as 3% if you qualify for a Federal Housing Administration (FHA) loan. Put money aside every payday and save any windfalls you receive, such as tax returns, and inheritances. 3. INCREASE THE AMOUNT OF MONEY IN YOUR SAVINGS ACCOUNT. In addition to paying for the home, you'll also have to cover closing costs and any renovations you plan to make once you move in. Building up your savings will not only put you in a better position with lenders- who may want to be sure you're not living paycheck to paycheck- it'll also ensure you have the funds to cover home improvements or any unexpected repairs that arise. Experts recommend saving at least 5% of the average cost of a home in your market. However, if you want to finance less of the purchase, save more. 4. THINK ABOUT WHAT YOU MIGHT WANT IN A HOME. You may not be ready to buy a home yet, but it doesn't mean you can't dream. Imagine the type of home you could see yourself living in: What does it look like? What features does it have? Where is it? Write it down. Knowing what you want will help you find the right home when you're ready to buy. If you're ready to buy a home, give me a call! (720)833-8542. I'd love to answer your questions, talk to you about our local market and help you find the home of your dreams.